Myntra the online fashion portal, which was acquired by Flipkart in 2014 for Rs 2,000 crore, re-launched its mobile website on Tuesday after going app-only nine months back. The news has triggered off a debate in the e-commerce sector whether an app-only strategy had failed to pull-off customers. Here are the likely reasons why Myntra reverted back to its mobile website, not for desktops, just after nine months of shutting it down. 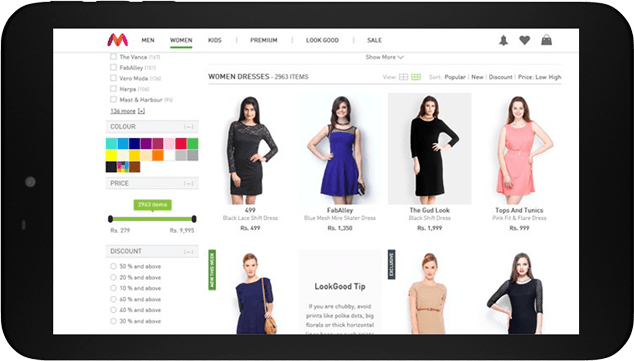 Reasons Behind Myntra Mobile Site Relaunch. 1. The re-launch of the mobile site though represents a failure of company’s app-only strategy, Ambarish Kenghe, Head of Products at Myntra, said the decision had nothing to do with the revenues saying the move will lead to more app installs eventually. 2. The effort is to lure those customers who are reluctant to install apps on their smartphones as it consumers the phone’s memory. Also installing apps for shopping and then deleting again to clear the phone memory also seems cumbersome for some customers. 3. A lot of customers search for the brand on their search engines on phone. 4. The move intends to attract first-time users, who do not wish to download a mobile app at the first go. 5. Myntra CEO Ananth Narayanan had targeted $1 billion in gross sales by March 2017 for the company and the move is said to be a step towards achieving the goal.